Survived is a compelling story that explores some heavy themes, including politics, religion, and what it means to be human. Survived by A. Michael Marsh is a thoughtful novel with well developed characters, an action-packed plot, and an environment full of danger and intrigue that make the book nearly impossible to put down. The story takes place in a world where disease has ravaged the population. Most who are exposed die, but of the few who survive, a small number change, mutating and developing strange and powerful abilities. When two outsiders separately enter a part of the quarantined area known as Salvation on the same day, it marks the start of a new struggle for power that puts the fate of the entire human race in jeopardy. The postapocalyptic story that has become so common in young adult literature is nicely refreshed here with the addition of genetic mutations and the existence of an alien race that set up society and ultimately caused the disease. The main characters are the Changed, including a young woman named Roxy, who has physically developed the characteristics of a tree and can compel plants to grow, to Alan, who can control animals, to Rochelle, who can see the future. Each of the Changed has a particular role to play and each must use his or her abilities to guide humanity into the future. The story is intricate, weaving personal relationships, government conspiracies, and ancient magical artifacts into a compelling and intelligent tale. The inhabitants of Salvation are pitted against a secret government agency as well as those survivors outside of their small community who regard the Changed with fear and distrust. At stake is the control of a set of artifacts, the vessel and the conductor, which together have the power to cure or weaponize the disease. The book explores human nature and the potential for both good and evil, along with ideas about spirituality, the origins of the human race, and the beliefs and ethics that drive people to behave in specific ways. These themes are a natural and fluid part of the plot without ever seeming heavy handed or didactic. 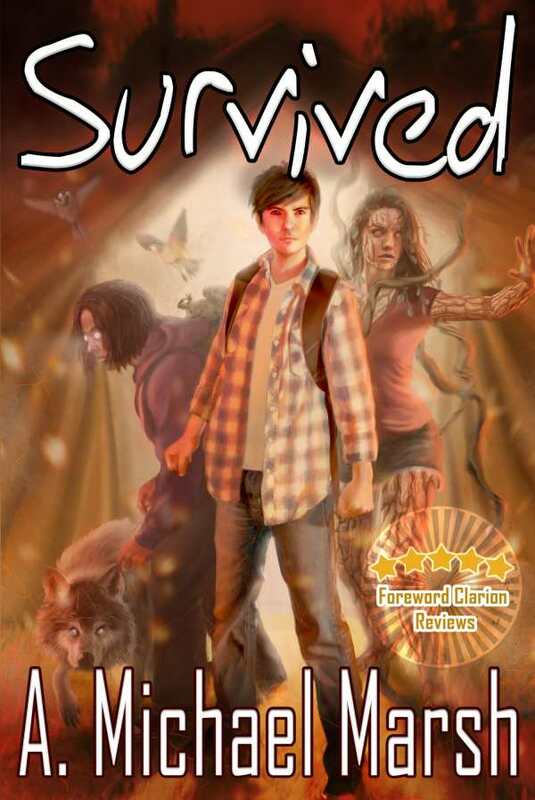 Survived is a sequel, and there is very little synopsis of the previous book. Snippets and hints of what the characters have already experienced are revealed throughout, but it is somewhat difficult to catch up and understand the events of this book without having read the previous novel. Still, even without this previous information the book is highly enjoyable. Survived is a compelling story that explores some heavy themes, including politics, religion, and what it means to be human. It is a book that will both challenge and entertain those with an interest in science fiction and fantasy, leaving them wanting more.